If you're looking to add more outdoor fun to your life, you've come to the right place! 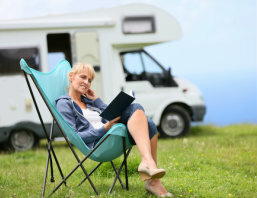 We offer loans on new and used recreational vehicles, with some of the most competitive rates in the Golden Triangle and the efficient, personalized service you already know and trust. Let one of our loan officers show you the way to the great outdoors with a loan that is sure to fit your budget.